Meek Mill is a famous hip-hop recording artist from Philadelphia who is best known for her studio albums, ‘Dreams and Nightmares’, ‘Dreams Worth More Than Money’, and ‘Wins & Losses’. His debut studio album debuted at #2 on the U.S. Billboard 200 while his second and third albums peaked at #1 and #3 on the U.S. Billboard 200, respectively. He has his own recording label, Dream Chasers Records. 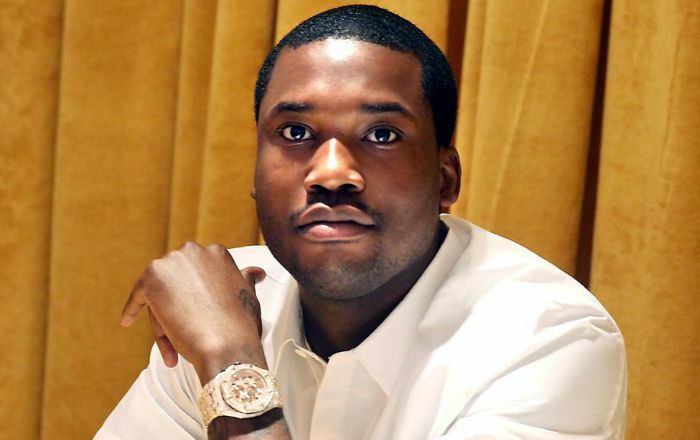 Meek Mill was born on 6 May 1987, in Philadelphia, Pennsylvania, U.S.
He’s currently 31 years old. Meek Mill started dating rapper and singer Nicki Minaj in early 2015 and they ended their relationship in January 2017. The duo dated for almost two years during which they used to accompany on each other’s world tours. Post their spilt, Nicki released a single, “Regret in Your Tears” in 2017, which elaborated their breakup in detail. Prior, Mill dated Fahimah Raheem, Lira Galore, Jai Nice and Lesha Marie. He wears a size 11 (US) shoe. Meek Mill released his debut studio album, “Dreams and Nightmares” on October 30, 2012 via Maybach and Warner Bros labels. The album features the singles, “Amen” featuring Drake, “Burn” featuring Big Sean, “Young & Gettin’ It” featuring Kirko Bangz and “Believe It” featuring Rick Ross. Ity debuted at no. 2 on the U.S. Billboard 200 and no.1 on the U.S. hip hop charts. Meek Mill debuted as an actor in the drama film “Streets” in 2011. In 2011, Mill made his first appearance in the music series “RapFix Live” as himself. He starred in two episodes of the series. He has appeared in TV commercials for Puma, Comcast TV, etc. Meek has an estimated net worth of $9 Million. His father was murdered when he was five years old, apparently during an attempted robbery. His family succumbed after his father’s death, left with no sources of income. He was raised in poverty where his mother used to do various odd jobs to make their ends meet. Growing up, Meek was influenced by the independent hip-hop artists Chic Raw and Vodka, and embarked on to the pop scene. He and his three friends formed a rap group called The Bloodhoundz which apparently didn’t last long. Meek became famous in the hip hop world through his mixtapes. He was subsequently signed by fellow American rapper Wale to his Maybach Music Group (MMG) label and went on to release his first album. Meek launched his own record label Dream Chasers Records in October 2012. Mill was arrested for illegally possessing a firearm and assaulting the police when he was 18 years old. Since then, he has been arrested and served jail term several times for parole violation and other offences. On March 11, 2017, Mill was arrested at a local airport in St. Louis, Missouri for assaulting two pedestrians. On November 6, 2017, he was sentenced to two to four years in state prison for violating his parole. Mill received a two-to-four year prison sentence in November for violating probation on a 2008 gun and drug case. He was arrested again in 2017 for assaulting two pedestrians at a local airport. On April 24, 2018, Mill was released on bail after an appeal to the Pennsylvania supreme court.